It's the most wonderful time of the year! The time to sign up for next year's reading challenges! 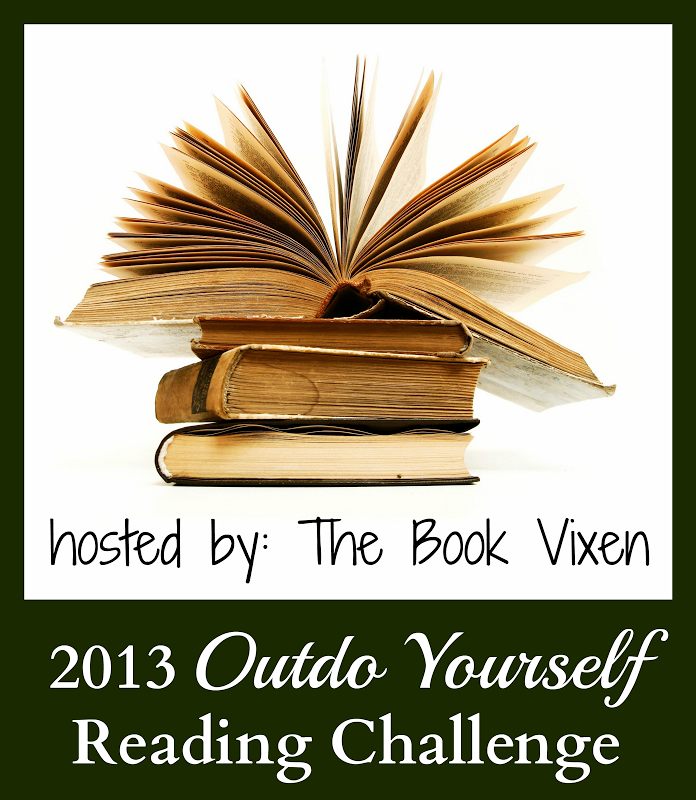 :) This year, I'll be adding the very meta Reading Challenge Addict challenge, which is a challenge to enter and complete a lot of challenges! 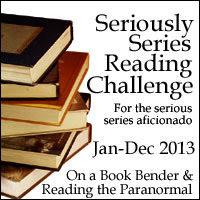 Update: I ended up entering 13 reading challenges for 2013, not including this meta challenge! So that puts me in the In Flight level. And since (I think) challenges that aren't the full year also count, there will probably be more. :) Here goes! 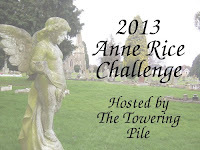 I'm hosting the 2013 Anne Rice Challenge. I'm participating at the level of Armand, meaning I want to read at least 11 Anne Rice books. It'll be tough! 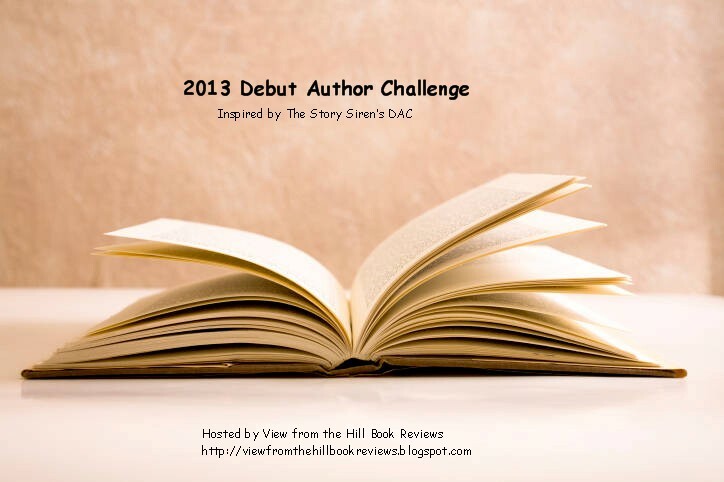 A new one for me, I've signed up for the 2013 Debut Author Challenge, with the goal of reading 12 books that are new releases from debut authors. 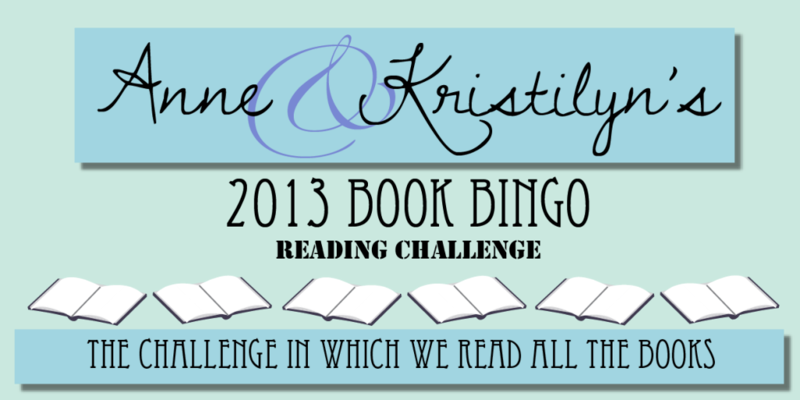 The 2013 Book Bingo Reading Challenge uses a bingo card, with categories for things like new books, and books that everyone but me has read. I'm excited for this one! 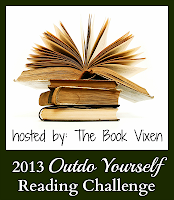 The 2013 Outdo Yourself Reading Challenge has the goal of just reading more books than I did in 2012. No problemo! I don't think I've plateaued just yet. I'm aiming for an increase of 11 to 15 books (meaning at least 101 books in 2013). 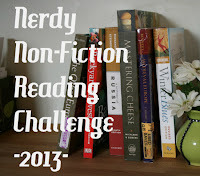 The Nerdy Non-Fiction Reading Challenge 2013 is a challenge to read more non-fiction books, in a variety of categories. I'm going for the Dork level, which means reading 7 to 10 non-fiction books in at least 4 of the categories. 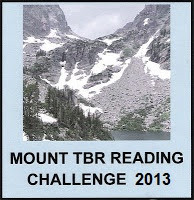 I'm joining the Mount TBR Reading Challenge again in 2013, with an even higher goal this year, despite failing the challenge in 2012. 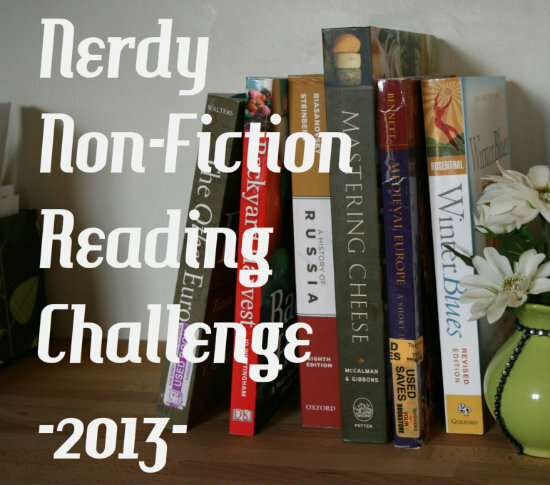 I really need to clean up my TBR pile (mountain), so I'm not gonna wimp out on this one! 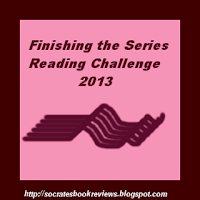 I've joined the 2013 Finishing the Series Reading Challenge at the highest level, which has a goal of finishing at least 3 series. I have a lot of series in progress, so I'm hoping to complete even more than that. 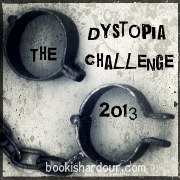 I've set my goal for the 2013 Dystopia Challenge at 15 books. I've yet to read a dystopian novel that I didn't like! So this will give me an excuse to seek out even more of them. I already read a lot of books by women authors, but I'm hoping the 2013 Women Challenge will challenge me to read even more. I signed up for the level Wonder Woman: read 16 or more books by women. 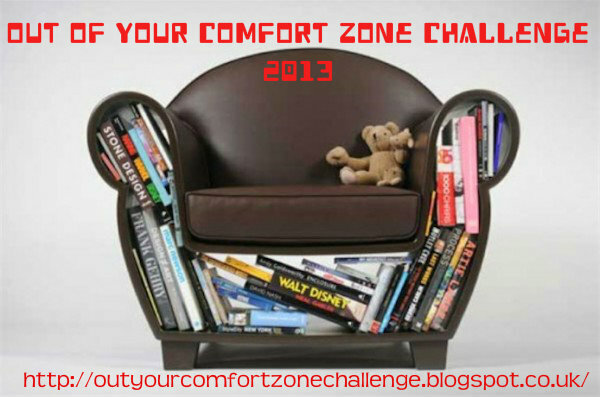 The 2013 Out of Your Comfort Zone Challenge is made up of twelve suggestions for ways to find something new and different to read, one of which should be done each month. I'm hoping to be adventurous and try out all twelve! 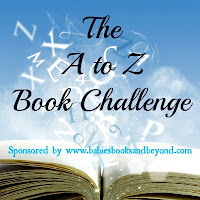 I will once again be doing the A-Z Book Challenge this year. 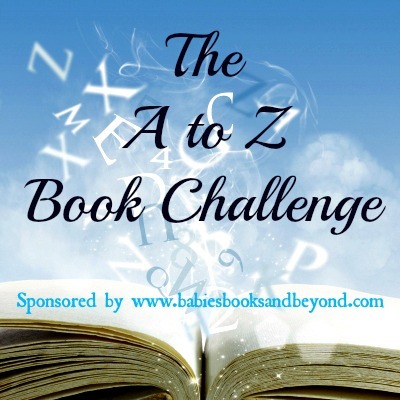 The goal is to read a book with a title that starts with each letter of the alphabet. I had a lot of fun with this one in 2012! The Seriously Series Reading Challenge has brought out the unrealistic expectations in me! 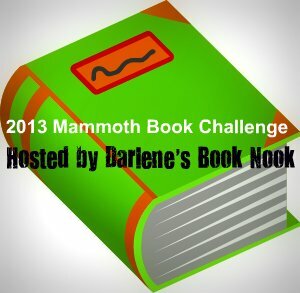 I've planned out 47 series books I want to read in 2013! Yikes! For the 2013 Mammoth Book Challenge, I set a goal of 12 mammoth-sized (450+ pages) books. 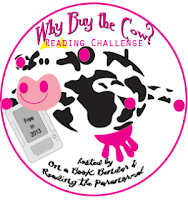 I'm aiming to read 12 free ebooks for the Why Buy the Cow? Reading Challenge. Glad to have you joining us as Challenge Addicts Anonymous! I'm hoping to get some discussions going about our challenges and throw out some incentives for joining/finishing challenges (prizes!). The first step is admitting I have a problem! :) I'm looking forward to it! Haha. I like the sound of a challenge for challenges. I may have to consider this challenge as I haven't been able to narrow my challenges down to a reasonable number. I might as well add another one right? My number of challenges has ballooned this year, so I thought, I might as well celebrate the madness!